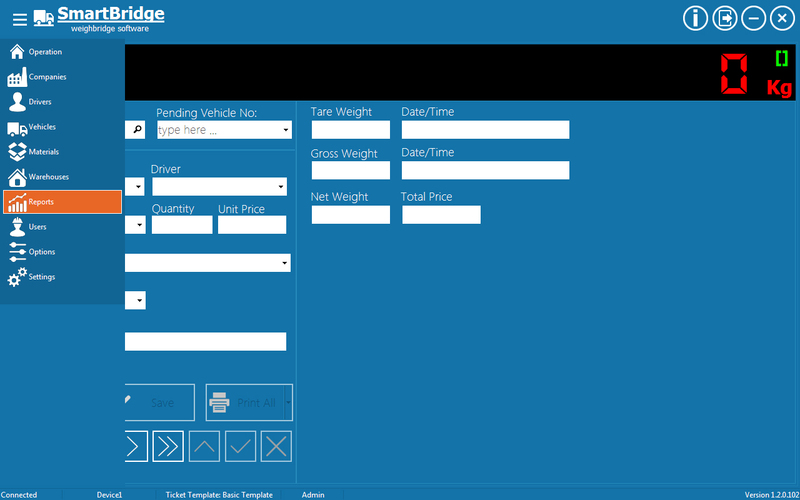 2-	Add and configure the weigh scale device. 3-	Design or import the ticket print template (if the embedded basic template is not suitable for you). In this article we will explain the first step. 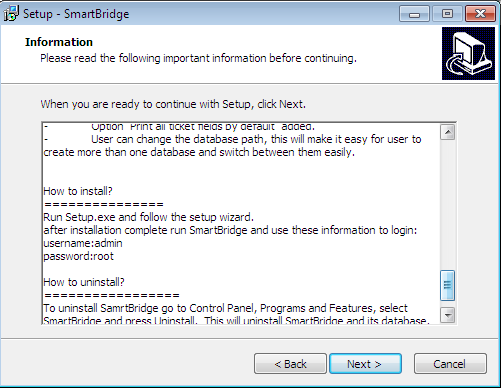 Installing SmartBridge is easy. After downloading SmartBridge from the product page here , unzip the file and run Setup.exe and follow the setup wizard steps. There is nothing unusual in the setup wizard; it’s just like any typical application installer. 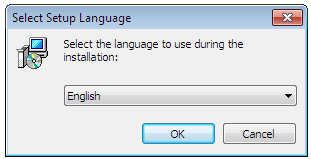 First choose the language to use during the installation; this language will be the default application language also. You can change the application interface language later from the application options. Then accept the license agreement. Then you can read some information about the application. In this page also you can find the default username/password to login to the application. 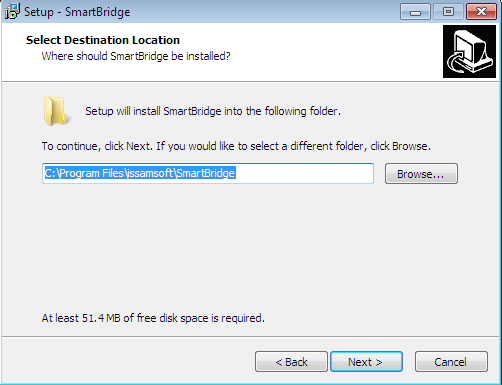 Then select destination location, this location is where you want SmartBridge the weigh bridge software to be installed. Then select start menu folder. Check “create a desktop icon”. Now the installer is ready to install the application, just press the Install button. 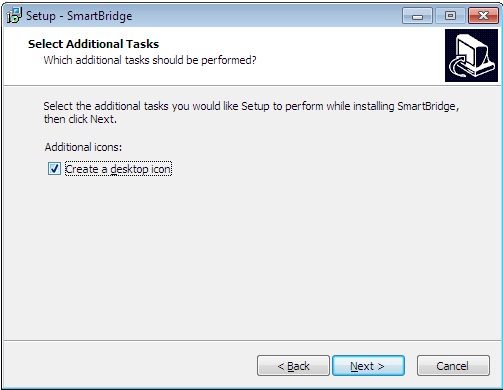 After installation complete, run SmartBridge the weigh bridge software from desktop or from the Start menu, trial dialog will pop up; this dialog will disappear after you buy and register the application. 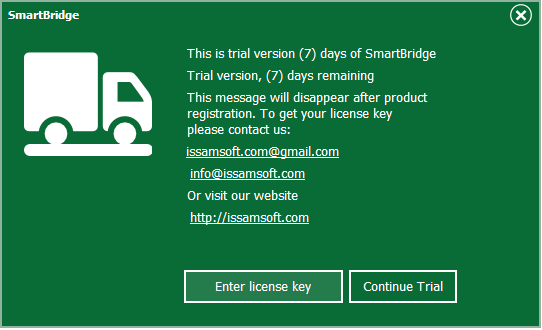 Press “Continue Trial”. 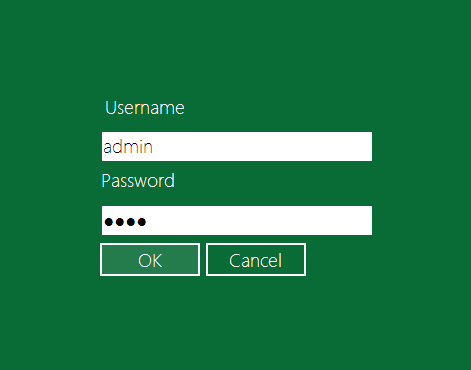 In the login screen use the default username/password to login to the application. 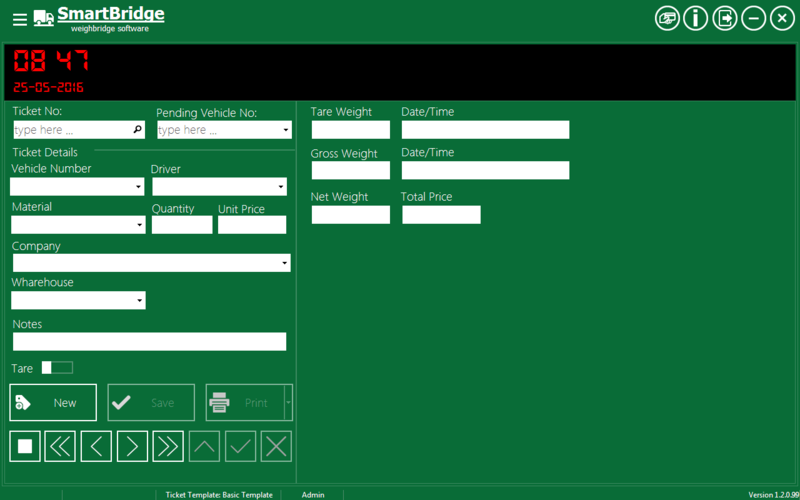 After login you will see the main application window/screen. This screen is the “Operation” screen. 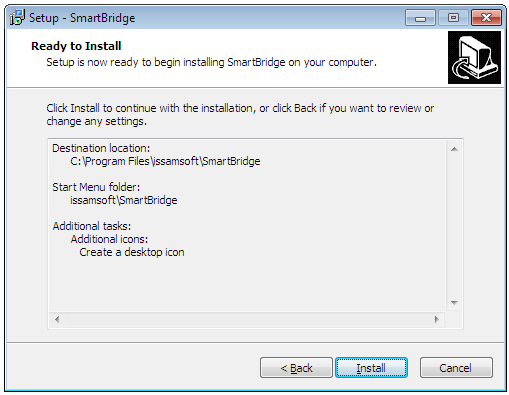 this is how to install SmartBridge the weigh bridge software and we will explain how to add the weigh device/indicator in the next article.